1. 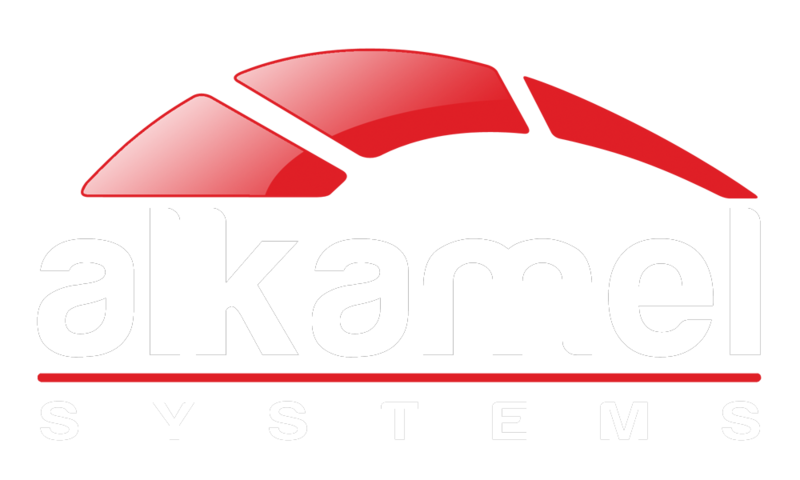 Effectiveness These general conditions of sale govern both the use of the web site alkamelsystems.com and all operations carried out with merchandise between Al Kamel Systems S.L. (Hereinafter “AKS”, for more detail see condition 2: Selling party) and customers. By merchandise is understood, but is not limited to that mentioned in this list, training courses that are supplied both in permanent data storage units and video courses available online, and that can be purchased as individual products As well as licenses for the use of the online training courses offered through the fiawec-store.alkamelsystems.com portal or under individually agreed license agreements. Only the general conditions of sale of AKS in the corresponding valid version will be valid. AKS may at any time modify these general conditions of sale, being able to adapt them to the legal and economic circumstances of the moment. The modification will take effect as of the next order that the client takes through the AKS portal. AKS does not in principle recognize deviations from these general conditions of sale. In case of deviations from the general conditions of sale, these can only be an integral part of the contract in exceptional form, when AKS has expressly recognized them in writing. 2. Selling party Selling party is Al Kamel Systems S.L. C \ Priora Xixilona, ​​93 08530 La Garriga / Barcelona / Spain VAT Nr: ESB64357312. 3. Prices The selling price of products and services that are considered agreed upon for an order is the one that is in force on our website or that appears in our brochures, price lists, etc. In case of errors of writing, printing or calculation we reserve the right to desist from the operation. 4. Establishment of the contract 4.1 The customer’s order is considered a binding offer for the establishment of a contract of sale on the service or merchandise requested. The contract is established at the moment AKS expressly accepts the order or when the requested service is purchased or by sending or delivering the goods requested, always within fourteen days after the order has been received AKS. Once this period elapses, the customer is no longer linked and the contract of sale is considered unrealized. 4.2 The offer to establish a sales contract is granted by the customer upon successful completion of the step described in point 3 during the ordering process. 4.3 During the ordering process, the customer has the possibility to verify that the indications that the same has made are free of errors before the order is finally made available to AKS. 5. Delivery and provision of service 5.1 AKS processes its orders without unnecessary delays and always in the course of 14 days. Any possible claim from the client is excluded due to the impossibility of fulfilling the contract. 5.2 AKS will provide access to the requested service without unnecessary delay, in any case during the course of the event. 5.3 AKS will get the order to customers through a private messaging company. The delivery will be done at the point indicated by the customer. Shipping costs will be borne by the buyer. All products are shipped at buyer‘s risk. AKS ‘ liability ceases at the time of delivery of the products in good condition to the carrier. 5.4 Access data can not be transferred or ceded. The customer must ensure that his access data is not known by third parties, even if it is unintentional. 5.5 In the event that AKS has reasonable grounds to suspect that products offered online are being used in a non-permitted or abusive manner, AKS reserves the right to take appropriate action after contacting the customer. These measures may include, but are not limited to, a change in the password of the user account in question, temporary disabling of access, or deletion of the affected user account. 6. Payment, maturity and delays in payments 6.1 The client will make the payments without incurring additional expenses and without making any deductions. Compliance with all requirements relating to foreign exchange transactions shall be observed. Expenses for bills of exchange are borne by the customer. The customer will not be able to offset or deduct from the amounts owed to AKS those that the client claims to AKS. 6.2 For the products offered online, the customer can choose between the following payment methods: credit card (Mastercard, Visa) or invoice for payment by bank transfer. In case of payment by credit card, the proof of payment appears as reference to Al Kamel Systems. 6.3 In the case of a delay in payment, all expenses related to the collection of the debt, such as costs of encumbrance and all costs arising as a result of legal representation in both judicial and extrajudicial proceedings, are borne by the client . AKS is not obliged to send previously a note of urgency. 7. Reservation of property AKS owns the merchandise sold until it has been paid in full. In the event that a third party has access to this goods as a result of a seizure or insolvency proceeding, the client must immediately notify AKS in writing and advise this third party of AKS ‘property rights. 8. Right of revocation and dismissal. 8.1 The customer may withdraw from an already established distance selling contract or may revoke a statement of intent for a distance selling contract within 14 working days, not counting Saturday as a business day. The term begins the day on which the customer receives the item, object of the purchase. The sending within the stipulated term of the declaration of revocation or of dismissal is sufficient for the observance of the term. This declaration of revocation or dismissal must be made in the same way as the declaration of intention of contract or of the offer for the establishment of the contract (see condition 4). 8.2 It is considered that the service is done at the end of the event. Revocation is excluded from this moment. Under the current regulation, in the case of services, which are not financial services, the right of revocation ends when the entrepreneur has begun performing the service with the express approval of the consumer, before the end of the revocation period, or when The consumer has given rise to the service. 8.3 Incompatibility with one or more client systems is not supported as a revocation argument. 9. Warranty and legal responsibility 9.1 The legal responsibility for any of a service is guided according to the legal regulations of guarantee. In any case, AKS reserves the right to change or replace the defective item. Only a reduction of the price can be claimed once an adequate period to solve the problem has passed without success. In the case of claims that exceed this framework, in particular for compensation claims for damages of any kind (indirect damages), including damages for loss of profit or damages for delay, AKS is only liable in case of premeditation or gross negligence. 9.2 AKS assumes no liability for technical breakdowns in the operation of the internet shop. AKS also reserves the right to suspend operation at any time, the latter, however, without prejudice to the due processing of those contracts already established. Despite the extreme care taken and the use of the most current techniques, AKS can not offer any guarantee of permanent accessibility to your server. A transient fault or a temporary inaccessibility of the server does not authorize the subscriber to revoke a contract or to claim damages. 9.3 In case of slight negligence, AKS is unlimitedly responsible for damages to life, body or health. In the event that AKS, as a result of slight negligence, has a delay in its service, the service is impossible or AKS has infringed an essential duty, AKS ‘legal liability for damage to objects or property is limited to Foreseeable damages in this type of contract. Any liability of AKS for loss of data in case of negligence is excluded, as long as the subscriber has not insured his data in an appropriate way. Any other type of legal responsibility for any other damage is excluded, unless a mandatory law applicable so imposes. 10. Confidentiality of data and advertising 10.1 The customer consents to the determination, storage and management of computer data by a customer such as name, surname, postal code, address, telephone number, fax number, e-mail address, address Internet, date of birth, bank details, etc., for the purpose of establishing and managing the contract. 11. Rights of third parties (intellectual property) 11.1 The client acknowledges that there are rights of third parties, especially intellectual property rights, as well as other rights of intangible goods. The customer agrees to use the purchased item within the framework that has been fixed in the contract or allowed by law and to maintain all licensing conditions strictly. 11.2 The previous point 11.1 also applies to AKS ‘rights to its website, its contents, texts, graphics, logos, trademarks, titles, programs, price lists, databases and other services. 12. Place of performance, applicable law, partial nullity and jurisdiction 12.1 The place of performance is La Garriga, Spain. The contract will be governed by Spanish law excluding the reference standards of private international law as well as the United Nations Convention on the International Sale of Goods of 1980. 12.2 If any of the general conditions of sale contradict the current legislation or will be void, The rest of the conditions continue to be valid. Should any clause of these general conditions of sale be invalid or no longer valid, this would not affect the validity of the other provisions. The clause that was not valid should be interpreted, supplemented or replaced in such a way as to achieve the originally intended economic purpose, as long as possible. 12.3 For the resolution of all disputes that may arise from this contract, the courts of Granollers, Spain, responsible for exercising commercial law are competent. 13. Information on payments and online products 13.1 All customer data and credit card information will be treated in strict confidence. 13.2 The transaction and the data entry are done in a browser window using an SSL security protocol. 13.3 In the statement of account movements of the customer’s credit card, the transaction appears under the name Al Kamel Systems. 13.4 Offer requests for online payments will be processed as quickly as possible, no later than two business days after receipt of the request. 13.5 Keep transaction data and all communications in an easily accessible place. 13.6 The charge on the customer’s credit card will be carried out once the article has been supplied in its entirety, or, if applicable, once the service has been completed in its entirety. For online products this circumstance will always be given immediately after the completion of the purchase procedure. 13.7 When purchasing an online product, the contract of sale is established at the same time as the access to the user account is allowed.